The Russian offer gives the U.S. to engage with Iran on a host of regional issues, including Syria. In the wake of a Russian offer to broker the removal of all chemical weapons from Syria – temporarily staving off the Obama administration’s push to strike the Assad regime – U.S. and Iranian officials are now provided with the most promising opportunity in years to engage substantively on a host of issues, including the Islamic Republic’s nuclear program. While a week ago, it appeared that Tehran and Washington were on a collision course over Syria, the months-long timeframe necessary to fully implement a chemical disarmament agreement could provide essential breathing room for the two estranged governments to begin building mutual confidence over regional security. To achieve this breakthrough, the U.S. must send Iran a clear message that its opposition to the Assad regime is not directed at the Islamic Republic. Failing to convey the proper message, for instance by advocating a weakening of Assad as a means of threatening the Iranians, is likely to lead to further destabilization throughout the Middle East – an outcome that would undermine U.S. security interests. In recent decades, Iran has invested greatly in its asymmetric capabilities as a means of countering the efforts of outside powers to isolate it regionally. Proxy warfare is its bread and butter, with Iran having created or supported militant groups in Lebanon, Palestine, Iraq, Yemen and Afghanistan. Moreover, despite pledges by Iranian President Hassan Rouhani to ease tensions with the West, a threatening stance from the U.S. would bolster his hardline opponents at home who seek broader confrontation. Yet, there are compelling reasons to believe that the Islamic Republic would be prepared to deescalate regional tensions – specifically, to reduce its support for Syria – if Obama signaled both the intent and capability to deal with Iran in good faith. First, it appears that some within the Iranian government have begun questioning the strategic value of continued support for Assad. Former president, and Rouhani mentor, Ali Akbar Hashemi-Rafsanjani recently made headlines by lamenting that Syrian civilians have suffered chemical attacks at the hands of “their own government” and that the country’s prisons are overflowing (the government later denied he made the comments). Borne out of the geopolitical configuration of the Middle East over the past three decades, the Tehran-Damascus alliance has served as an extremely important means for Iran to project power in the region: Syria was the only regional state to support Iran during its eight-year war with Saddam Hussein and has been instrumental as a conduit for Iranian support to Hezbollah in Lebanon. Iran, however, could distance itself from Syria if it were to conclude that – in the midst of unpredictable regional transformations – its interests were no longer served by tying itself unconditionally to an increasingly erratic Assad regime. As the civilian body count in Syria has mounted, Iran’s steadfast support for Assad has gravely undermined its longstanding strategy of portraying itself to the Arab street as the defender of Islamic justice against tyranny. The cost of supporting Syria became even clearer when a rift arose between Hamas and its Iranian patron, the former of whom opposes Assad’s crackdown. Second, distancing itself from the Assad regime also could improve the Islamic Republic’s image at home. A large segment of the Iranian populace resents the government’s financial and military support to Hezbollah and Syria – especially while the country’s economy remains in shambles. The emerging evidence of Assad’s use of chemical weapons could further accelerate domestic disenchantment with the Syria alliance. During the Iran-Iraq war, Iranians were the victim of the largest-scale use of chemical weapons on the battlefield since the First World War. More than 100,000 Iranians either were killed or continue to live with the aftereffects. Meanwhile, the Iranian government makes much of the fact that it did not retaliate with its own chemical weapons, claiming this to be a sign of its Islamic morality. Thus, continuing to support a regime that has gassed its own people would be a hard pill to swallow. Third, U.S. and Iranian officials seem to agree that the Syrian civil war can only be resolved diplomatically. Neither wants to be pulled into open confrontation with the other. But both sides must take concrete steps to avoid this outcome. Most importantly, Iran must be brought into the Geneva II talks, a forum aimed at bringing together the Syrian government, representatives of the opposition and regional actors. Thus far, the Saudis have pressed for their Iranian rivals to be left out of any such negotiations. This would doom the talks to failure, however, as Iran would be left with little choice but to sabotage any attempt at a diplomatic solution. Instead, U.S. and Saudi officials should use as a starting point their shared interest with Iran in preventing Sunni extremists from coming to power in Syria – a likely scenario if Assad were removed from power prematurely. In exchange, Washington should demand Tehran’s cooperation in bringing about a ceasefire. A well-crafted diplomatic outreach to Iran would also mitigate the repercussions of a U.S. attack on Syria in the event that the Russian-brokered deal falls through. In the weeks following the Syrian regime’s chemical weapons attack, as the world waited to assess Obama’s reaction, Supreme Leader Ayatollah Khamenei showed an apparent willingness to keep hardliners in check. Aside from issuing boilerplate warnings to the West and the “Zionist regime” about the dire fallout of an attack on Syria, senior figures refrained from openly pledging direct Iranian retaliation. 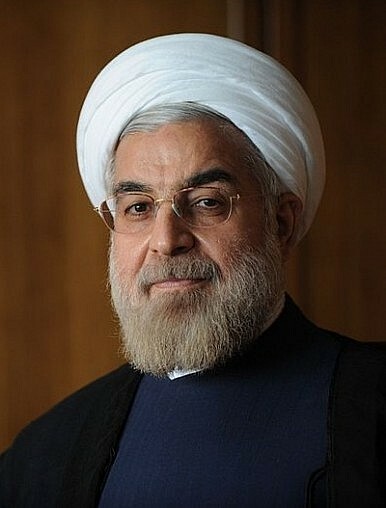 This signals a likelihood that Iran’s reaction would be limited as long as the Obama administration refrained from publicly tying the strikes to its dispute with the Islamic Republic. In any case, Iran’s reaction to U.S. efforts to cooperate over Syria would provide an indication of the extent to which Rouhani and his fellow pragmatic conservatives will be able to maintain the upper hand within the Islamic Republic amidst future diplomatic spats that will undoubtedly arise. Reports of recent back channel communications between the Obama and Rouhani administrations are promising, especially if they lead to senior-level meetings on the sidelines of the UN General Assembly meeting later this month. If Iranian officials were to leave those meetings confident that Iran would be invited to play an integral role in resolving the Syrian civil war, the likelihood of a breakthrough in upcoming talks with the P5+1 over its nuclear program would be that much greater. Ali G. Scotten is an independent analyst specializing in sociocultural and geopolitical analysis of the Middle East. He tweets at @AliScotten.